There are several features that I have not mentioned in relation to the designs in this collection. In the second set I introduced a strip of stamens, that can be stitched out on sheer fabric like tulle using wash away stabiliser. 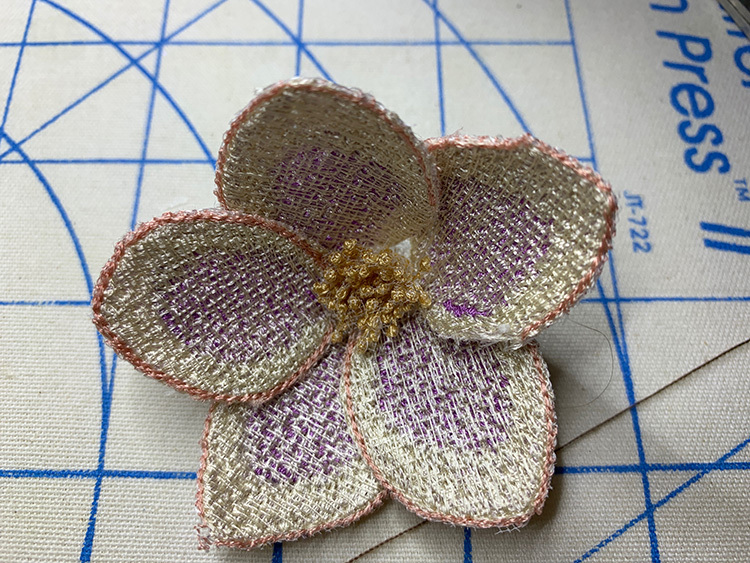 When the stabiliser is removed and the design is trimmed, carefully snipping between each tiny section, the strip can be rolled up and glued so it can be inserted into the centre of one of the dimensional hellebores. I don’t think it is suitable for the ordinary flowers in this collection as it would stick out too much, but if you are creating any of the dimensional flowers and opt for one that is only partially open these rolled anthers will be perfect. To create a flower that is not fully open I spray the completed flower which spray starch and holding it in the palm of my hand pushing the sepals inwards to form a cup shape. A few extra stitches on the back will secure the “petals” in this partially closed position. The other small element that can be found in the second set is a frilly circle of stamens. I was delighted when I first stitched this element out to see that on tulle it naturally curled. It is best to use embroidery thread in your bobbin for this element and others, so that the underneath if visible is not too “white”. 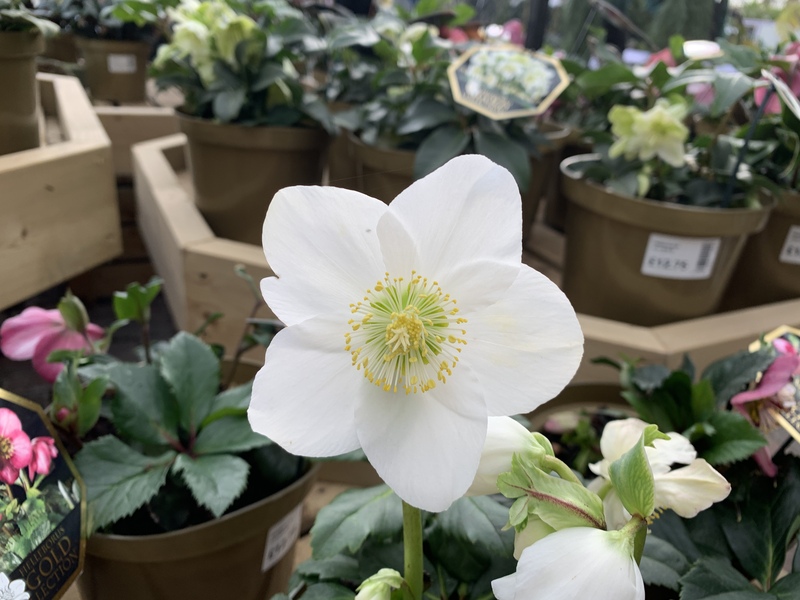 This element enables you to create one of the most pretty of hellebores with a frilly centre as shown here. This is the final design in Winter Jewels 4 and I decided to stitch it out on white felt to show you the benefits of embroidering on felt. OK, it does not come in a huge variety of colours and is not the easiest fabric to wash, and I confess have yet to attempt to wash it, but my belief is wash any fabric before you use it so it shrinks or does whatever else it decides to do before you embroider on it. The main reason for embroidering on felt is that you never get any puckering so it is great for beginners and for awkward designs. The felt softens the embroidery I think. My error, just in case you did not notice, is that I stitched the Outline alignment stitches out on top of the felt. Nonetheless, the results were fine and they added to the background detail which is of course optional! Here is another design in this set, which is an endless panel design. There are endless possibilities with this collection and I encourage you to experiment with the dimensional aspects of these designs. 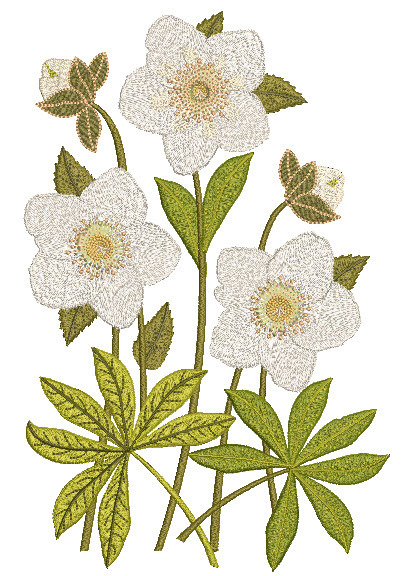 Imagine how these hellebores would look on a Christmas wreath or as napkin rings. Go one step further and design your own unique table setting for next Christmas using the dimensional leaves and flowers. Do send me photos of what you create please. Winter Jewels 4 is being released today, January 16th 2019 and the set is available for just $24 until the end of the month. The final set in the Winter Jewels collection will follow soon and here is one of the designs which is nearly completed. 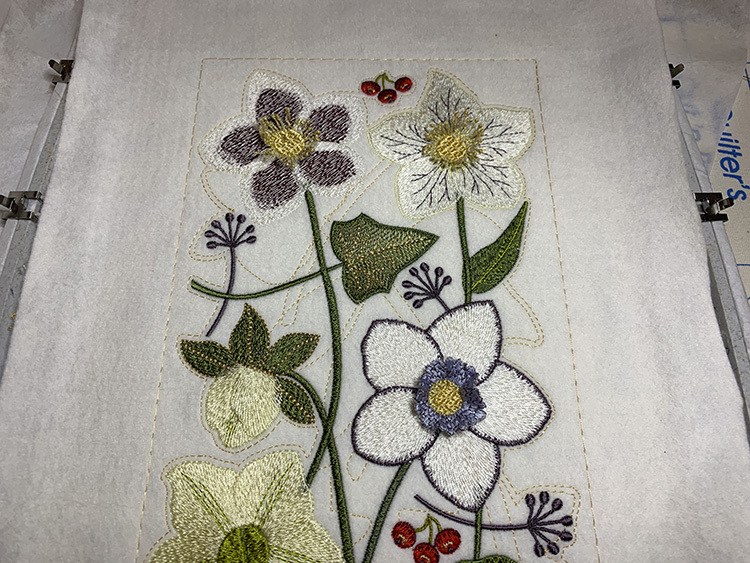 This entry was posted in Discussing machine embroidery, New Designs and tagged 3 Dimensional embroidery, Christmas, development of embroidery, embroidery on felt, machine embroidery. Bookmark the permalink. I absolutely love these flowers. I only wish I could see them in person to enjoy them! I’m thankful that you have recreated them so perfectly! Thank you for posting. So glad you love the hellebores. 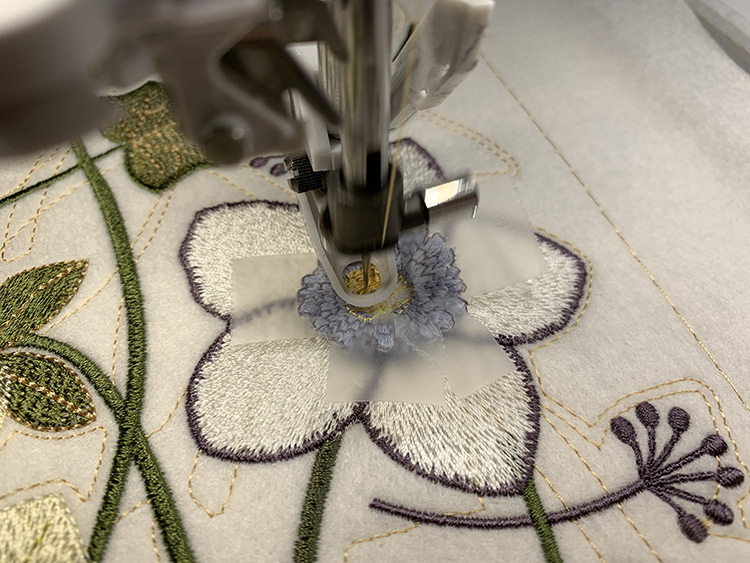 They are fun to do and the results are wonderful bringing the embroidery to life.